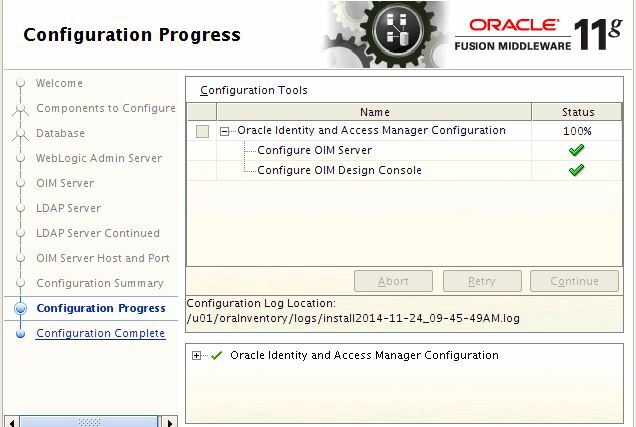 Online DBA Support | Installation & Configuration of Oracle OID,OIM,OAM. 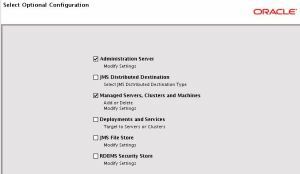 Below is the list of products required for IDM Setup. 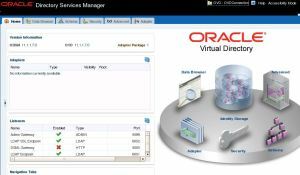 Operating System – RHEL 5.8 x86-64 with 16 GB RAM and minimum i3 processor. Download softwares from the link given below. 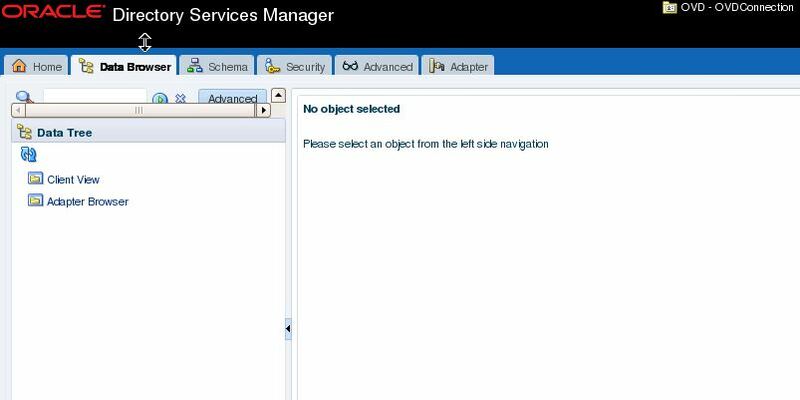 Choose 1st option . 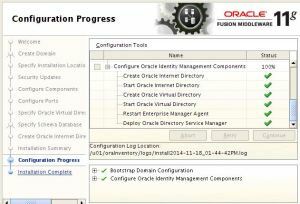 Create and configure database. 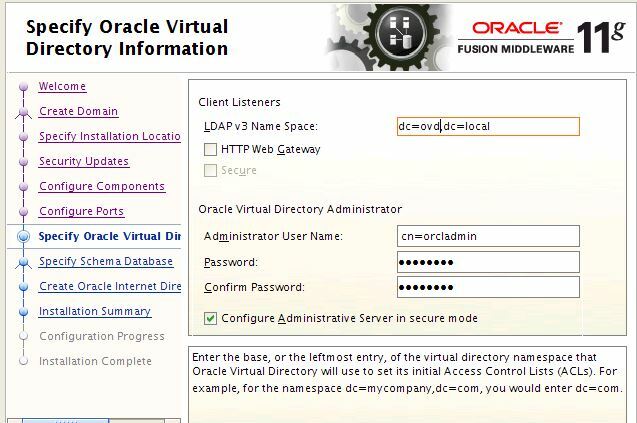 You can also choose Install database software only and later create a database using dbca. 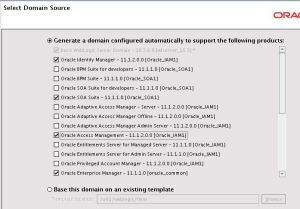 Execute RCU – 11.1.2.2 to create repository for IDM,OIM and OAM. 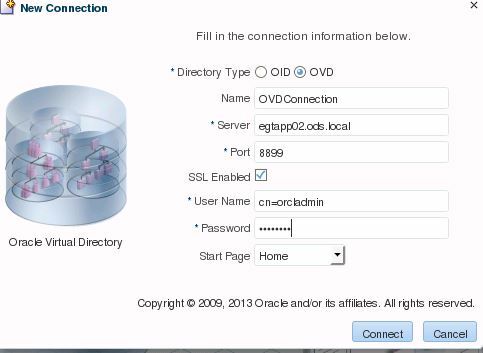 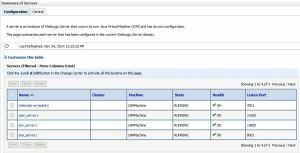 Provide database credentials to establish a connection with the database server. Set a password which will be used by these schemas. 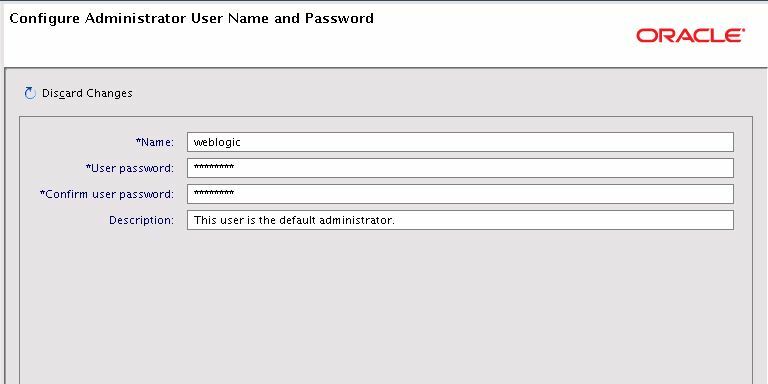 You can either provide separate passwords or same password to manage all. 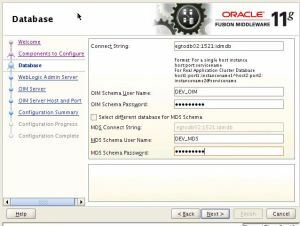 This will create the the schemas and corresponding tablespaces in the database. 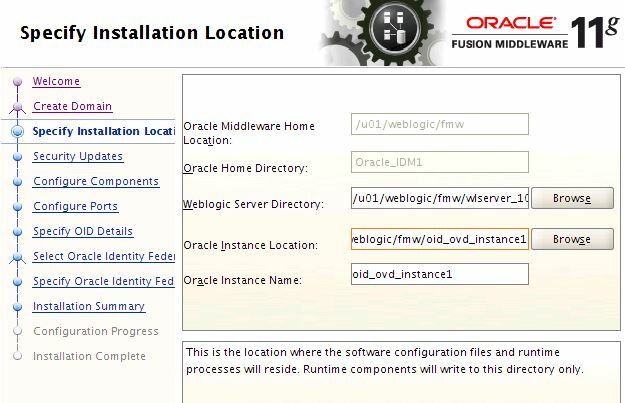 Set middleware home directory – /u01/weblogic/fmw – You can set this to any as long as user has a permission for read,write. 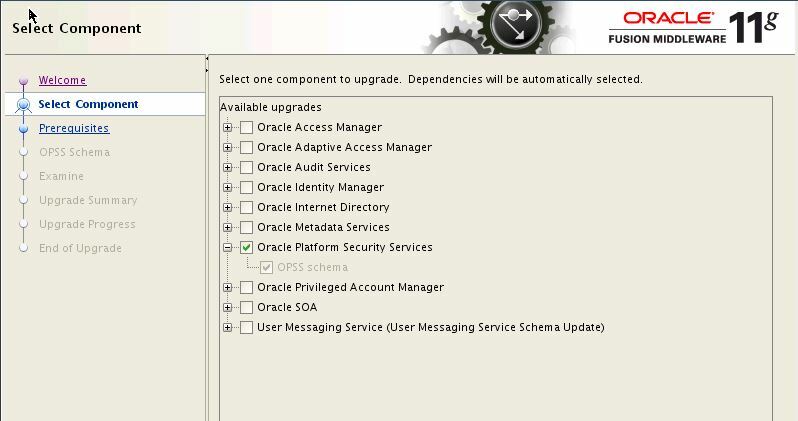 Select I wish to remain uninformed about oracle updates and click on Yes-you may have to do this multiple times. 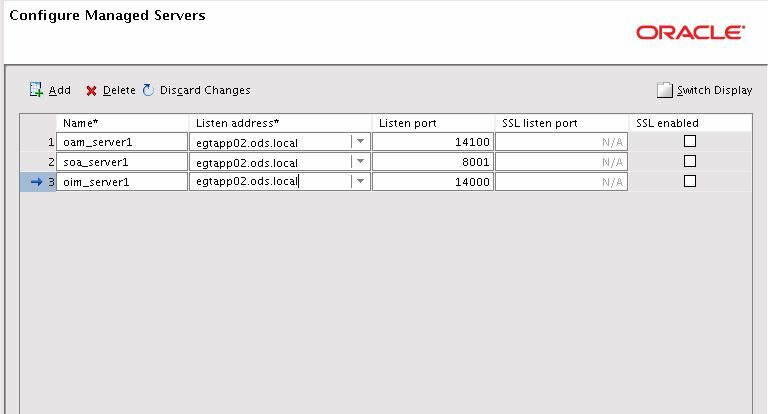 Create custom staticports.ini file same as below and place it under any temp location. 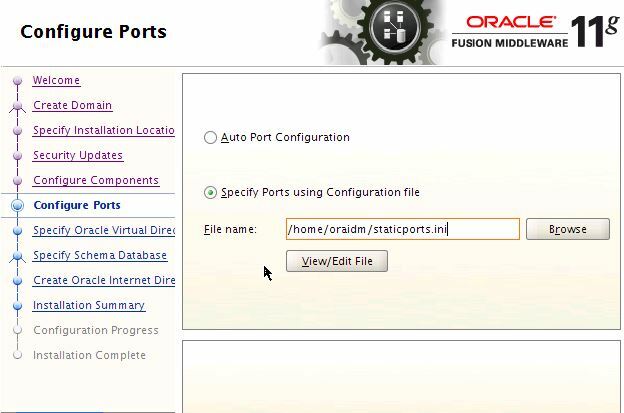 You can change the port numbers if required or keep it same. Directory Services have different names in different products. We will use OVD in this configuration and hence will use a default name space as “ovd”. 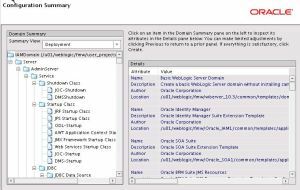 Oracle Virtual Directory is an LDAP service that provides a single, abstracted view of enterprise directory servers and databases from a variety of vendors. 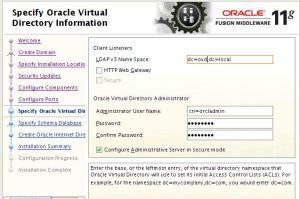 Oracle Virtual Directory can serve as a single source of truth in an environment with multiple data sources. 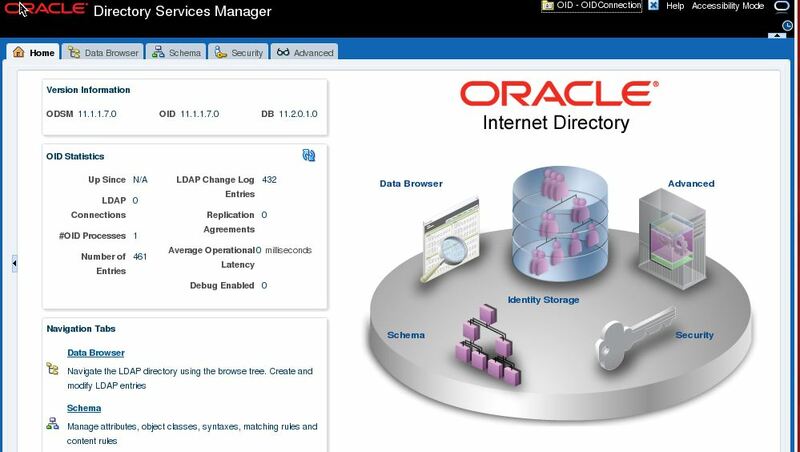 Oracle Internet Directory is a specialized database that stores and retrieves collections of information about objects.Associated with each entry is a number of attributes, each of which may have one or more values assigned. 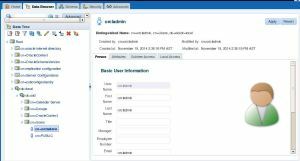 For example, typical attributes for a person entry might include first and last names, e-mail addresses, the address of a preferred mail server, passwords or other login credentials, or a digitized portrait. For us domain component’ “dc” becomes “ovd” and other dc is local depending on our current domain structure in the organization. 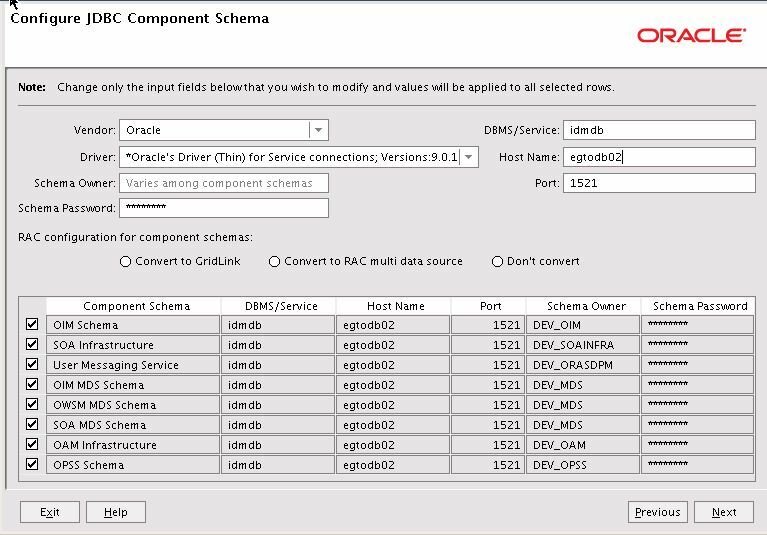 Container “cn=orcladmin” is the super user to manage OID and OVD. OVD does not hold any user information instead it keeps the metadata information of the users received from different vendors(AD,Legacy Systems,OUD etc) and passes it to OID. 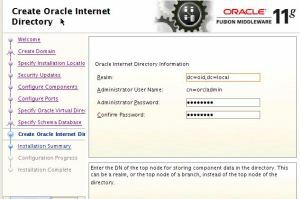 As we know that OVD passes the information to OID, by default this screen will have dc=[your_domain_name],dc=com/local. 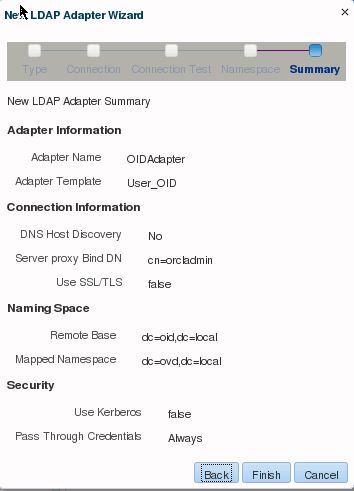 Our domain is = ods.local however we have given dc=oid to keep it simple to understand. Below screenshot shows the 2 server’s created during domain creation process. 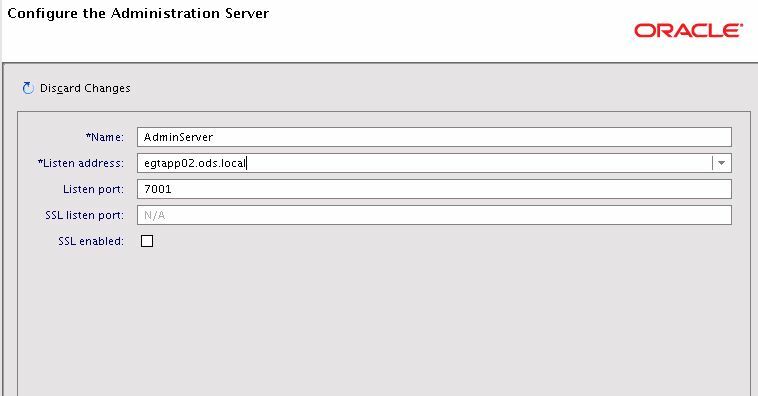 WLS_ODS1 Server – In a domain, server instances other than the Administration Server are referred to as Managed Servers. 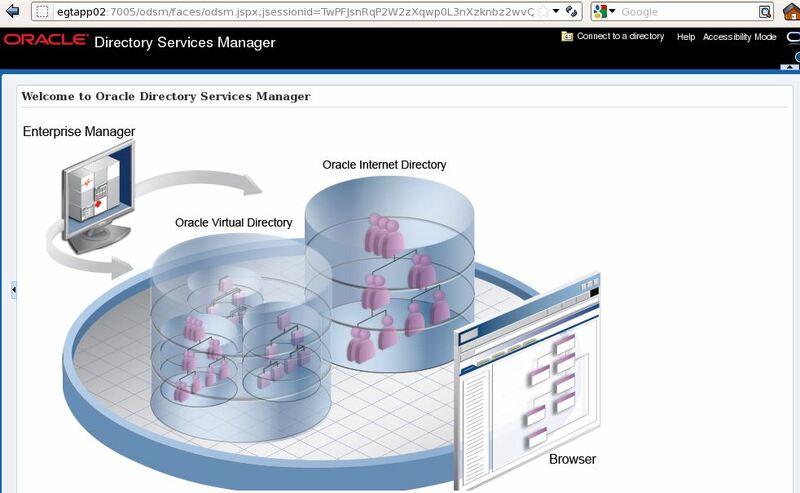 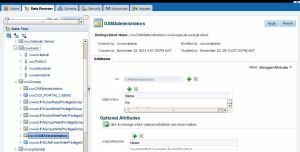 Managed Servers host the components and associated resources that constitute an application.WLS_ODS1 server manages our directory server (ODSM). 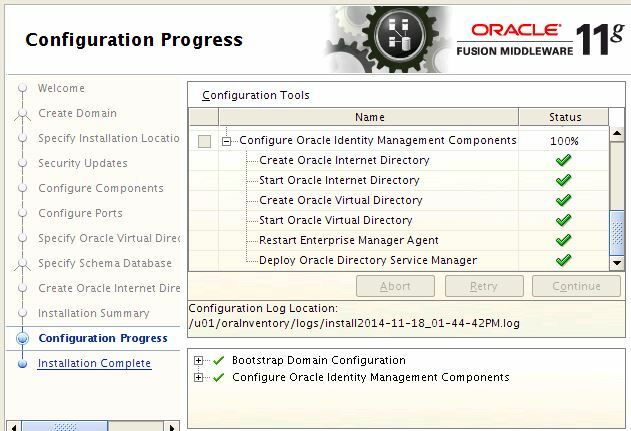 Verify OPMN processes which will start your background processes of OID & OVD. 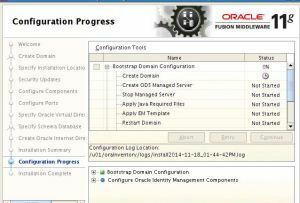 As u see in the below screen shot there are 5 processes running OVD,3 OID and 1 EM). 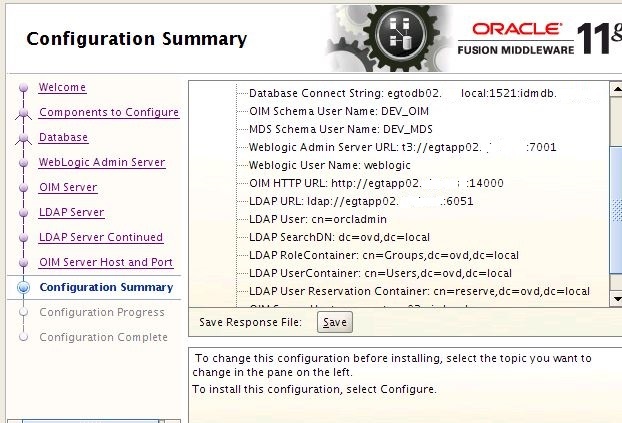 OID is an internal directory running on LDAP port 3061,3060. oidmon is the process which monitors the connections and assigns the work to these 2 oid processes (oid1) which will spawn other processes. 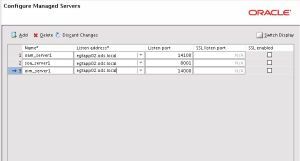 Give any name to the connection, server – server where IDM is installed or hosted, port – LDAP port 3060, User – orcladmin which is the super user for OID,OVD. 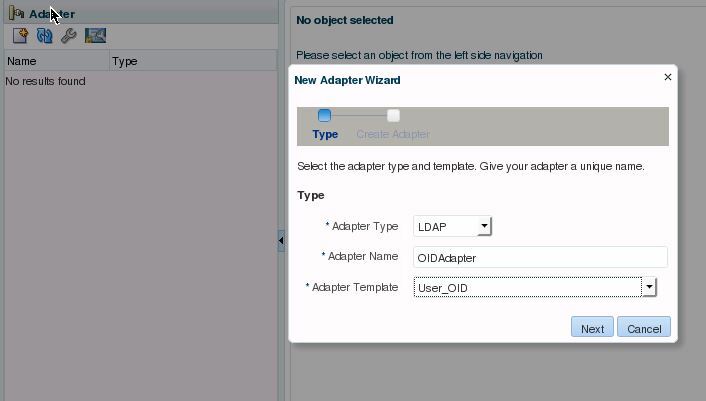 Create an adapter for OID. 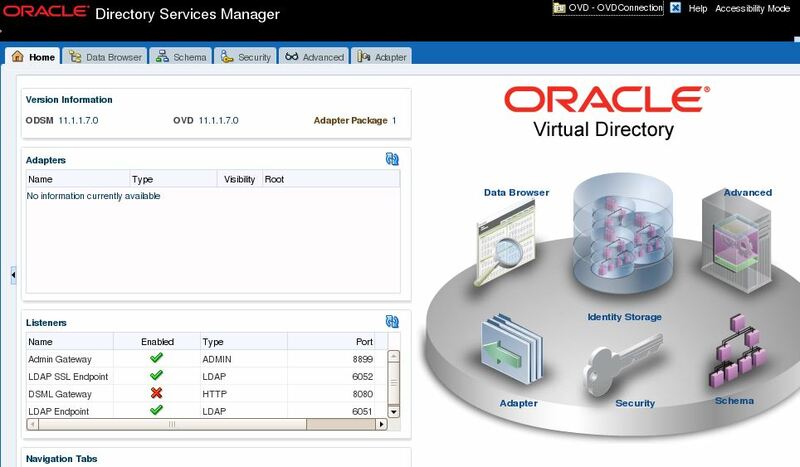 OVD has a capability of creating adapters for multiple systems (OID,AD,EBS Database,Legacy Systems). 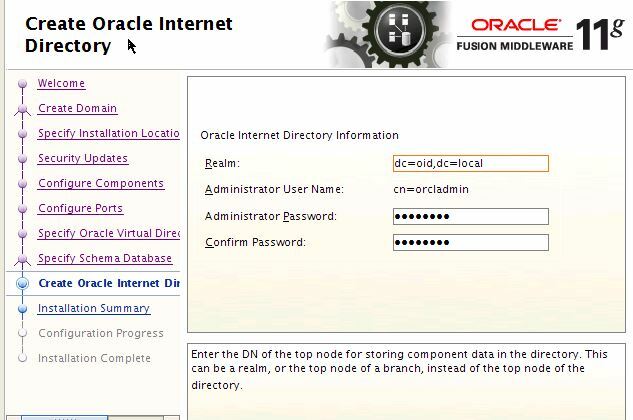 OIM/OAM has a limitation of connecting to one directory server only. 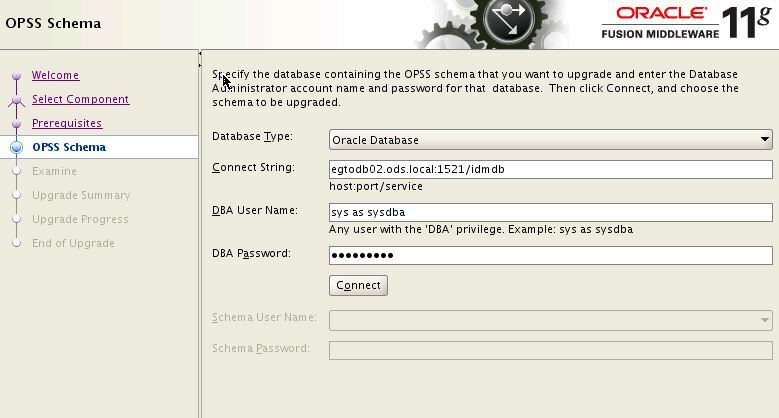 Lets think of a scenario where we have Oracle EBS,Active Directory to be synced with each other. 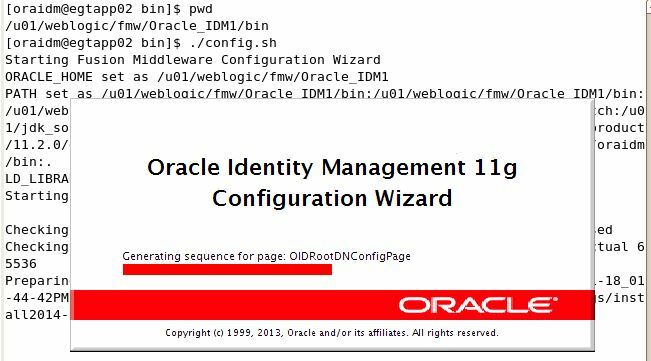 In this case we will have OID to connect with these 2 systems and store user information in the identity store. Suppose we have a third party application ie. 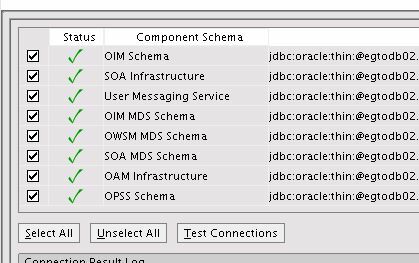 Mircosoft SQL server,MY SQL,IDM DB and getting user information is a challenge through OID, so OVD here can create an adapter with these legacy systems and pass on the data to OID. 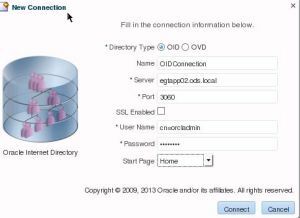 OVD is only a virtual directory server and does not hold any information, it is only a pointer to the data source where the user actually resides(DB,AD,Legacy) and passes the info to OID. 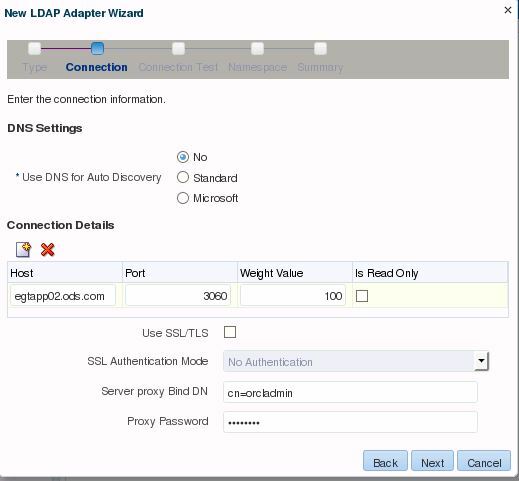 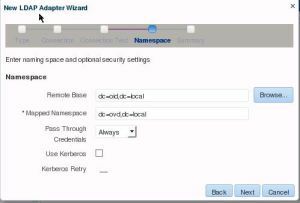 Below we will create an LDAP adapter for OID. 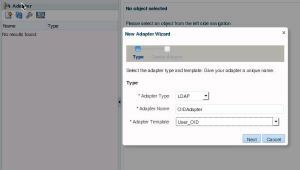 Click on the home page to see adapter information. 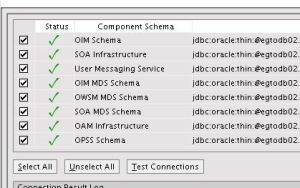 Extend the following schemas for OID,OIM and OAM required during integration processes. 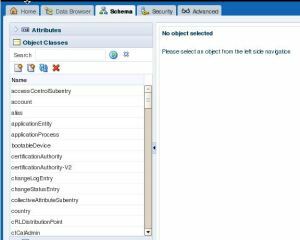 Extension will bring additional Attributes and Object class files in OID,OIM & OAM which are by default missing when we install these components. 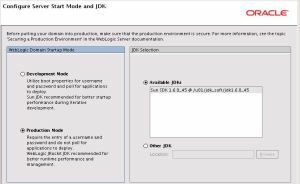 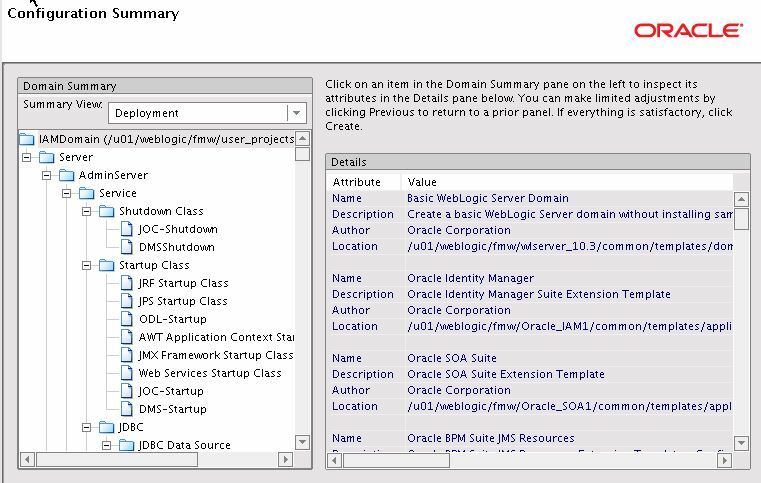 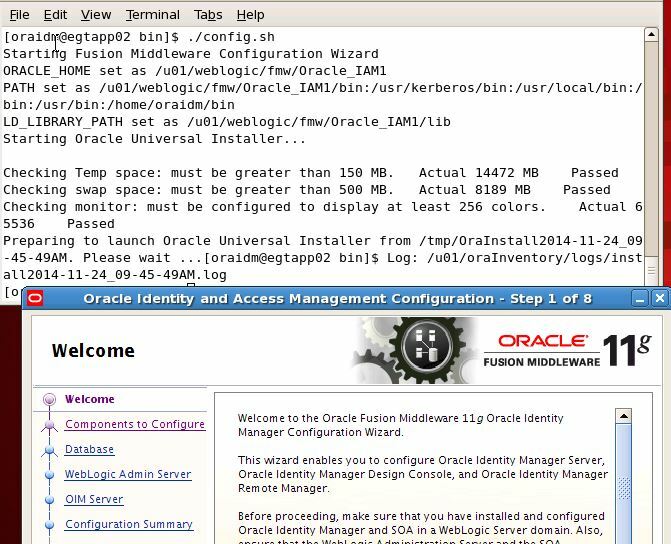 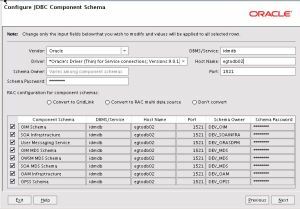 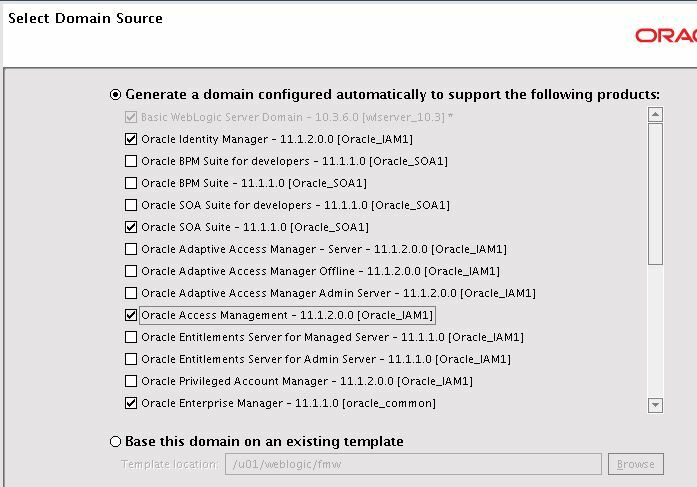 Go to Oracle IAM home and run the configuration tool to extend the schema. 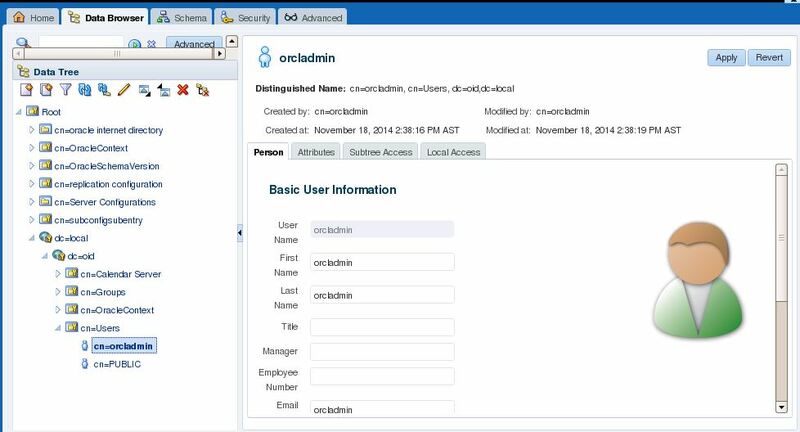 You need to supply password for “orcladmin” user. This will create OIM specific users and XELSYSADMIN super user to manage OIM. 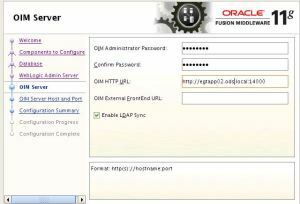 This will create OAMADMIN user which will be a superuser for OAM. 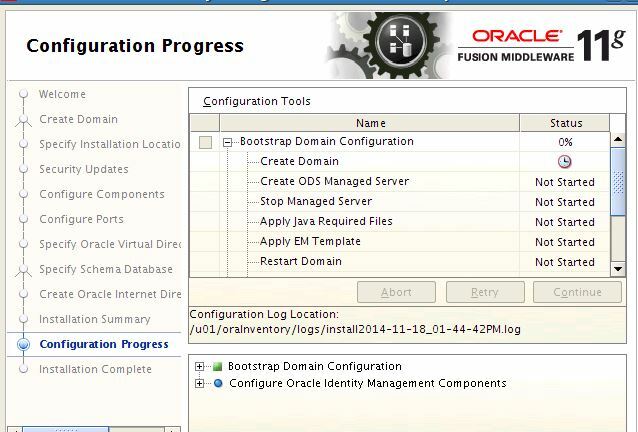 Create DB security store – Mandatory step to start Admin Server for OAM,OIM & SOA server. 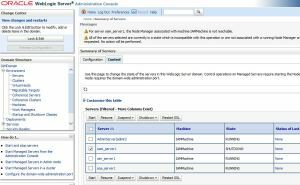 WARNING: Cannot register to audit service for component "JPS". 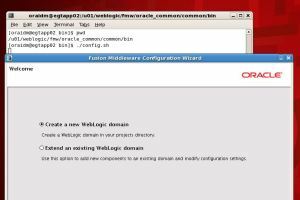 Using default context in /u01/weblogic/fmw/user_projects/domains/IAMDomain/config/fmwconfig/jps-config-migration.xml file for credential store. Lets see the procedure to start and stop all the services involved in the process of this installation. 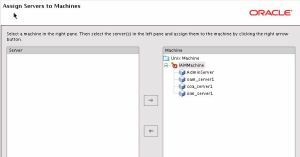 Copy this file to other managed servers security folder. 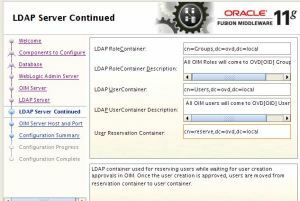 Check the status of the service in nohup.out file. 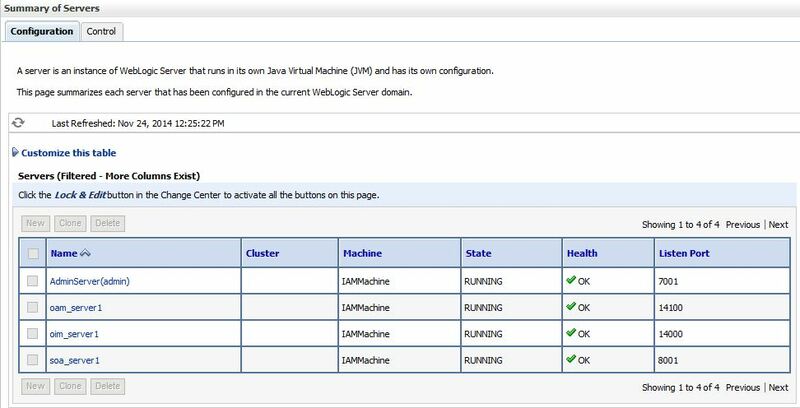 It should show RUNNING state. Check the status of weblogic service in nohup.out, it should show RUNNIN state. 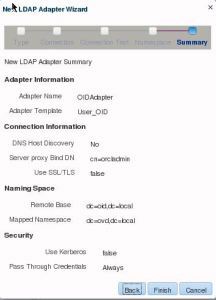 Check the status in nohup.out, it should show RUNNIN state. 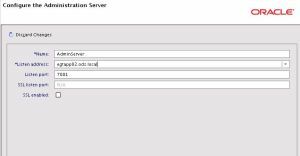 Login to the console and check the server status. 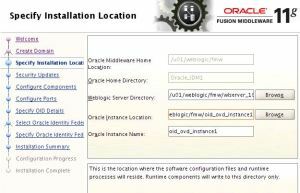 We have still not started OAM/OIM managed servers. 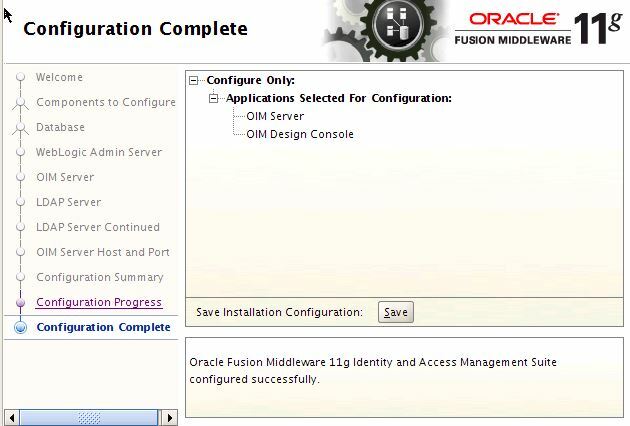 It will be started after we configure OIM. 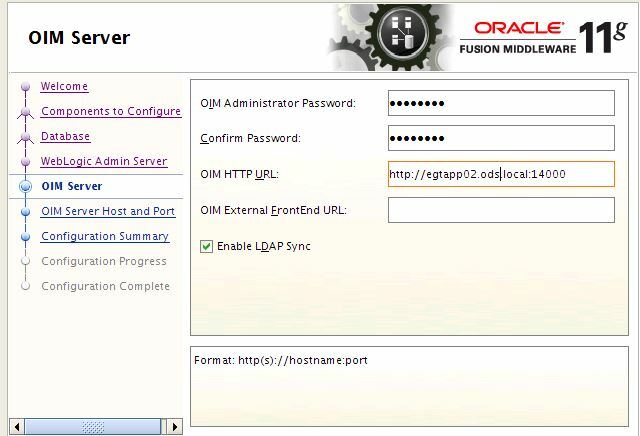 Now we will configure OIM server and enable LDAP sync. 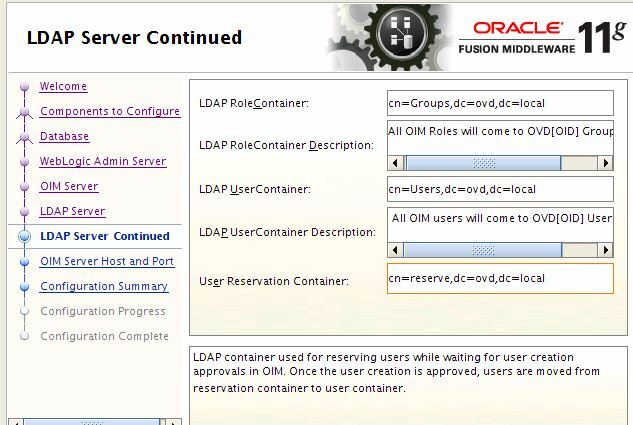 Enabling LDAP sync, we will integrate OIM with OVD/OID instance. We will start OIM server now. 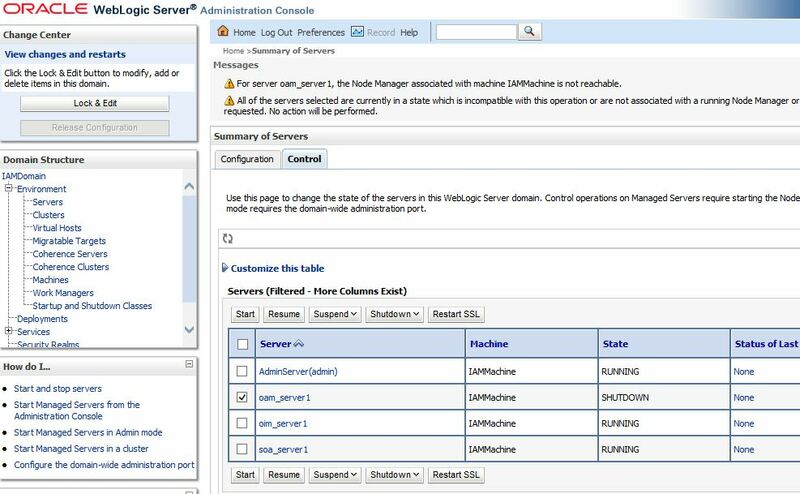 Start oam managed server. 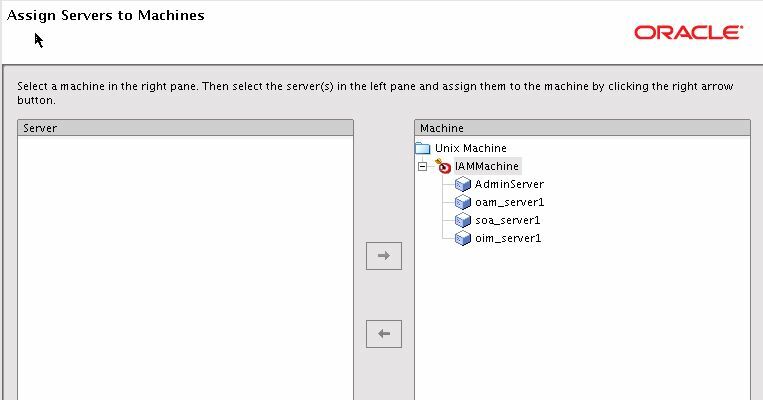 In order to start OAM managed service, start node manager first. Now start OAM managed server either from Front end or command line. 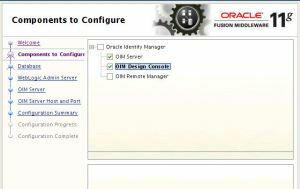 In the next section we will see how to use OIM and integrate with EBS. 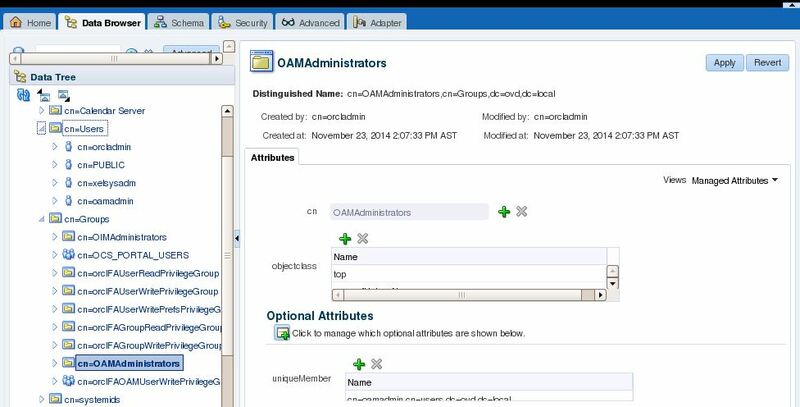 Later we will integrate OIM with EBS and Active Directory. 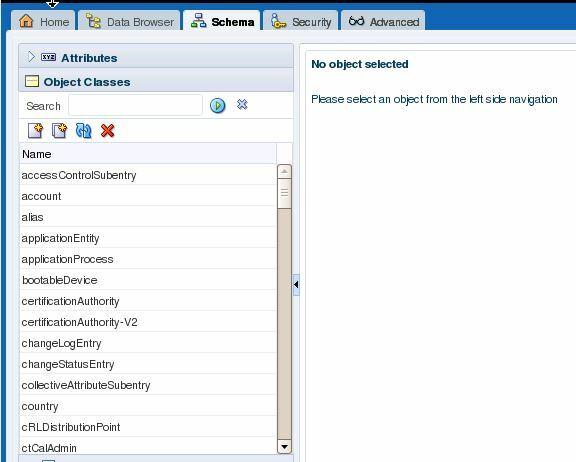 Please help if any idea about this error. 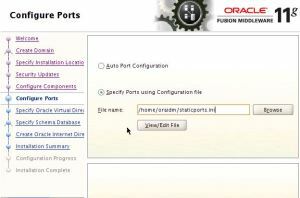 When are you going to integrate this with EBS.. 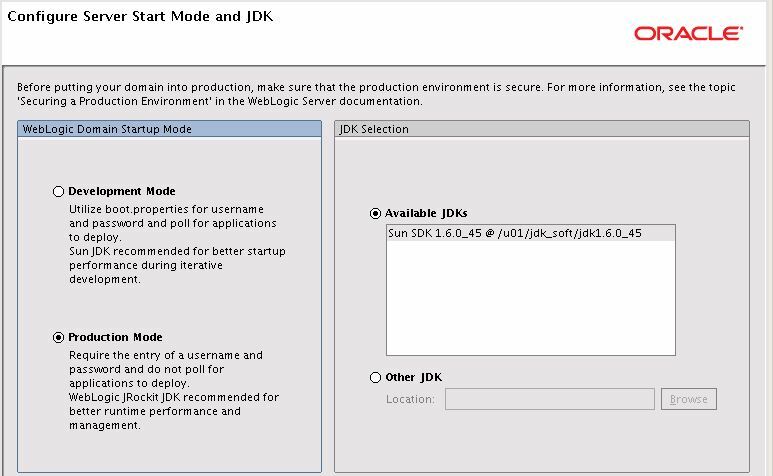 This is very helpfule instruction that solved my problem that I strugled a couple of months. 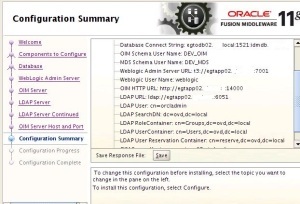 Clear step by step explanation of oracle installation and configuration. Thanks.